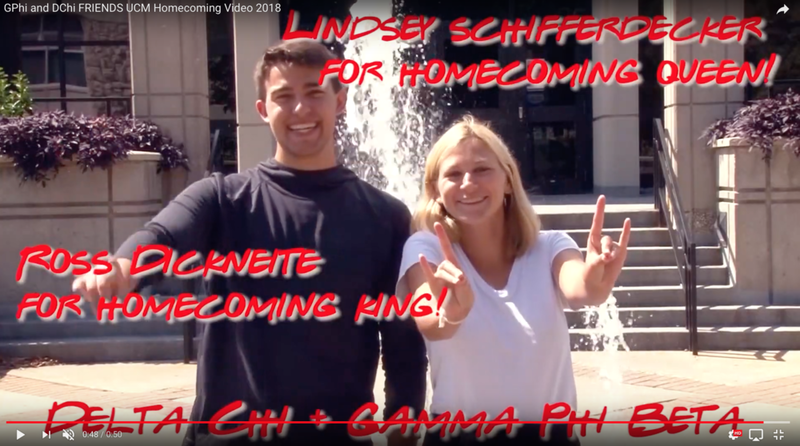 This link will take you to a fun video that was created to advertise for Delta Chi and Gamma Phi Beta’s Homecoming 2018 candidates! The clip was shot in September and it was created by members of Delta Chi and Gamma Phi Beta from UCM. Homecoming activities have already started and we are working to do very good this year!